After the AGCC announced they would be revoking Full Tilt poker’s license (one of the four companies operating under the Full Tilt umbrella’s license was not revoked but remains suspended) Full Tilt poker released its own statement via PokerStrategy.com –which has become Full Tilt poker’s go-to site for releasing statements. On September 19, 2011, the Alderney Gambling Control Commission reconvened the private hearing originally held on July 26, 2011, regarding its suspension of Full Tilt Poker’s operating licenses. 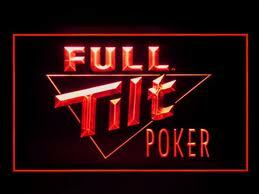 During the hearing, Full Tilt Poker offered the testimony of an investor interested in acquiring the company. The interested investor testified before the Commission as to its advanced status of negotiations with the company and the terms and conditions of a potential purchase. Full Tilt Poker requested a 30-day adjournment of the hearing to allow for transition of the company to the new investment team. Today, the Commission announced its decision to revoke three of the four Full Tilt Poker operating licenses, despite the weight of evidence presented at the hearing by Full Tilt Poker of investor interest in acquiring the company. The Commission’s decision to revoke Full Tilt Poker’s operating licenses makes it more difficult to execute the sale of the company and hence repay its players. Throughout the last few months, Full Tilt Poker has been totally committed to ensuring repayment of its players in full — a commitment that it has expressed repeatedly to the Commission and the company believed that it was engaged in a collaborative effort with the Commission to repay its players. Notwithstanding the potential damage done by the Commission and its disregard for our players, Full Tilt Poker remains committed to repaying its players in full and continues in active negotiations. A further statement will follow shortly. Once again Full Tilt is seemingly trying to deflect the blame onto the AGCC for terminating its licenses, despite the site using the same stalling tactic since before the AGCC suspended their license on June 29th, 2011. For months the poker community has sat by and listened to Full Tilt poker spokespeople make claims about imminent deals, and how any negative outcomes for the site will jeopardize said deals. Apparently, the AGCC has had enough, and a careful perusal of the AGCC’s 20+ page report shows that Full Tilt poker has violated the terms and conditions of their license on numerous occasions, dating back to 2007. This entry was posted on Thursday, September 29th, 2011 at 2:25 pm and is filed under Poker News. You can follow any responses to this entry through the RSS 2.0 feed. You can leave a response, or trackback from your own site. Nobody is talking about the fairness of the game at poker sites.I’ve had KK crushed 7 consecutive times. I watched my cards change. I had a losing hand,my hole cards turned down,when they turned up I had a winner.We need a means of keeping the game random, take away the control the sites have over the game.